Nineteenth-century American poet and author who is remembered for such popular works as The Casket of Fate and Puss in Boots. She was one of the best-known female writers of her generation. She became a published author at the age of fourteen, when her work was accepted by Juvenile Miscellany, a children's poetry periodical. She died in 1850 of tuberculosis. 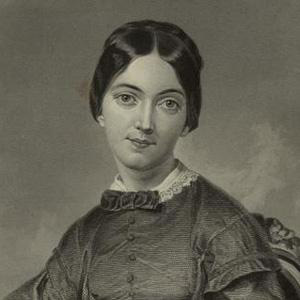 She married Samuel Stillman Osgood in 1835. The two separated for a time, but were reunited several years before Frances Osgood's death. She and Edgar Allan Poe famously exchanged love poetry for years.